Popular actress Eniola Badmus is thankful after a fire broke out at her residence. The actress took to Snapchat today, October 5, 2016, writing, "Thank you Lord for saving my life. Fire outbreak in my house." Thank you Lord and thank you to my neighbours, I'm hail and hearty," she continued. According to her, the incidence broke out early this morning giving her quite a scare. 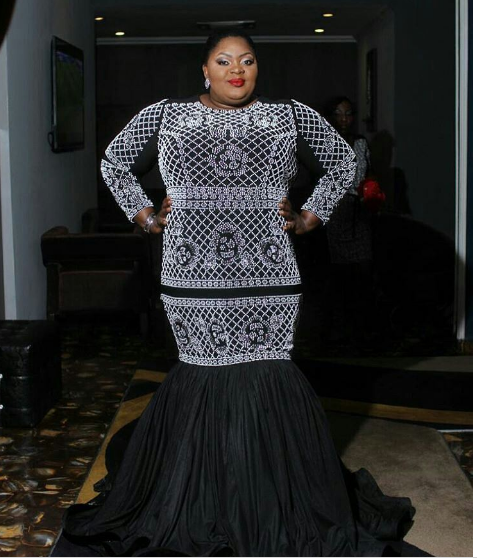 Eniola Badmus who was a year older on Wednesday, September 7, 2016, cannot be much happier for God's mercies. Meanwhile, the actress had a bash with close friends and colleagues. Present at the occasion were Denrele Edun, Gloria Edet, Iyabo Ojo, Beverly Naya and others.